Asbestos Surveys in Kent | Crucial Environmental Ltd.
Crucial Environmental has been carrying out asbestos surveys in Kent for a number of years. With expertise in working with all forms of asbestos and asbestos-containing materials (ACMs), we have been called in to almost every kind of property from flats and residential blocks to commercial premises and warehouses. Based in the South East, we’ve worked throughout Kent from Tunbridge Wells and Maidstone down through Dover and Canterbury, bringing excellent local knowledge and superb customer service to each job. If you would like to have an asbestos survey carried out, please contact us today. While asbestos has been banned in Kent (and the whole of the UK) since 1999, the material can still be present in any building or structure that was renovated or built before the law came into place. That means that if you have any reason to suspect that either asbestos or ACMs are present on your property, it is vital that you have an asbestos survey carried out immediately. For homeowners it’s only natural that you would want to ensure that you and your family are safe from this potentially dangerous material. For business and building owners you are required by law to have a plan to ensure that workers are not exposed to asbestos – this has to comply with the Control of Asbestos Regulations 2012. Through a survey, we provide you with the information you need to create this plan. We have carried out a huge number of asbestos surveys through Kent and beyond, with experience in identifying all forms of asbestos and ACMs. We carry out a thorough check of your premises, locate and identify any ACMs and provide you with a detailed report on their condition. Our report will also contain recommendations on your next steps with regard to dealing with the asbestos or devising a plan to control it. If we find any potentials ACMs during the survey, a sample will be taken and it will be analysed in a UKAS (United Kingdom Accreditation Service) accredited lab. This testing will reveal whether asbestos is present and will provide full details on its condition. The lab will send a certificate of analysis for every sample – in general we get the results within 36 hours of the sample being taken. Once the survey has been completed and the analysis has return, we compile a full asbestos report detailing the specifics of the asbestos and ACMs that have been found at the property. The report provides both assessments of condition and recommendations for what you should do with any materials that were discovered. In some cases we may recommend removal, but in many situations it is best for the asbestos to simply be managed. The reports are printed in full colour and you will receive an email copy in PDF format. Asbestos was banned from any kind of use in the UK in 1999 due to its potentially hazardous effects on human health. Exposure to asbestos can cause lasting damage to your lungs with long-term consequences. It is important to note that asbestos is generally only dangerous when the fibres are released into the atmosphere and can be breathed into the lungs – undamaged asbestos in good condition is not immediately dangerous to health, it’s only when this asbestos is disturbed. It is a legal requirement for businesses to set out an action plan to keep employees and anyone else in their premises safe from asbestos. To create this plan you need to have a survey conducted so that you can understand exactly where asbestos is present. It is not a legal requirement to have an asbestos survey carried out on your home, but given the potential health implications, many homeowners wish to have a survey carried out for peace of mind. They can then take any necessary steps to protect themselves and their family from asbestos exposure. Before it was banned, asbestos was very commonly used in a huge variety of building materials. It can be everywhere from residential and commercial buildings to industrial sites. Asbestos and ACMs come in many different forms from insulation and ceiling tiles to cement and spray coatings. Many items that look harmless can contain high levels of asbestos, while some materials that look identical to asbestos are perfectly safe. Because of this, the only way to truly identify asbestos is to have a survey carried out by professionals. Can I survey a building myself for asbestos? 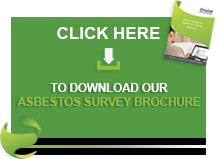 You can only carry out an asbestos survey if you are qualified to do so. Due to the potential risk of exposure to asbestos, it’s important you call qualified and experienced asbestos experts. If you are in Kent and would like to have an asbestos survey carried out please get in touch with us at Crucial Environmental today. You can call us on 01903 297818 to speak to a member of the team or you can email info@crucial-enviro.co.uk and we will get back to you as soon as we can.